Today's scripture passages: Genesis 2:15-17 & 1 Cor 15:22. Once one has experienced the fulfillment of God's Love (for me, I was told I experienced a Baptism of the Holy Spirit), one realises how deaf, how blind, and how lifeless they were. There is truly such thing as B.C. and A.D. in our own personal lives I tell you - because life begins @ A.D 1! God observes how 'alive' we are, because He knows and Loves each and every one of us - our good points, our bad points, our intentions, our loves, our choices... all of which when analysed can signal to us how alive we are in Christ. That's so much better than I can say for myself as a n00b Bonsai Tree owner ;) For Christmas, my brother bought my family Bonsai Trees for Christmas. They came to us very green, but a lot of leaves are turning yellow - which apparantly is natural for a Bonsai Tree when it moves to a new home and tries to acclimatise itself to its new surroundings. I am not so in tune with it at the moment, because sometimes there are much less yellow leaves that I have to flick off the branch than at other times, so I am constantly asking myself questions like 'Did I not leave it long enough in the water last time?' or 'Is it liking the sunlight?'. God doesn't need to ask those questions about my own spiritual health - He knows exactly what is suffering and what is not, so He knows how to heal it if it is not very well. All living things need to be kept alive, nourished often, sitting in the right environment, cared for. For me, being alive means that constant feeding of scripture, which I am only now beginning to develop some self-discipline on [Matthew 22:29], Holy Communion/Adoration [John 6:33] and daily prayer [John 4:24]. If you have been checking in on my blog every now and then, you'll probably have encountered my post where I say how much I love the Gospel of John - my favourite Gospel. If you check it out, you will see and absorb so many references to the word 'life' in it it. It is no coincidence for me that today, the scriptures centre around this theme of life, because I feel that my own human life has suffered a massive blow for which I feel that I've almost died inside. This afternoon I was exposed to a very big, very dramatic revelation, one which my human heart is very broken over... and I still feel sick to the stomach and shivery over it. "For as in Adam all die, so also in Christ shall all be made alive". Somehow, I know the comfort that Christ is alive in me, is so very real. It is giving me so much strength - it seems to be the warm blanket over my cold broken heart, and even though I'm struggling to even breathe properly, Christ's Love is like a fuzzy non-electrical lightbulb amid the darkness and death that my soul is suffering from right now - I am not alone, He is beside me. How I love my Lord Jesus Christ! I accept the suffering that God Wills for me, but at the moment, it is not easy - and it is likely to get worse. It is strange, how God gives His blessing on something and yet, in reality it's not how things work out. 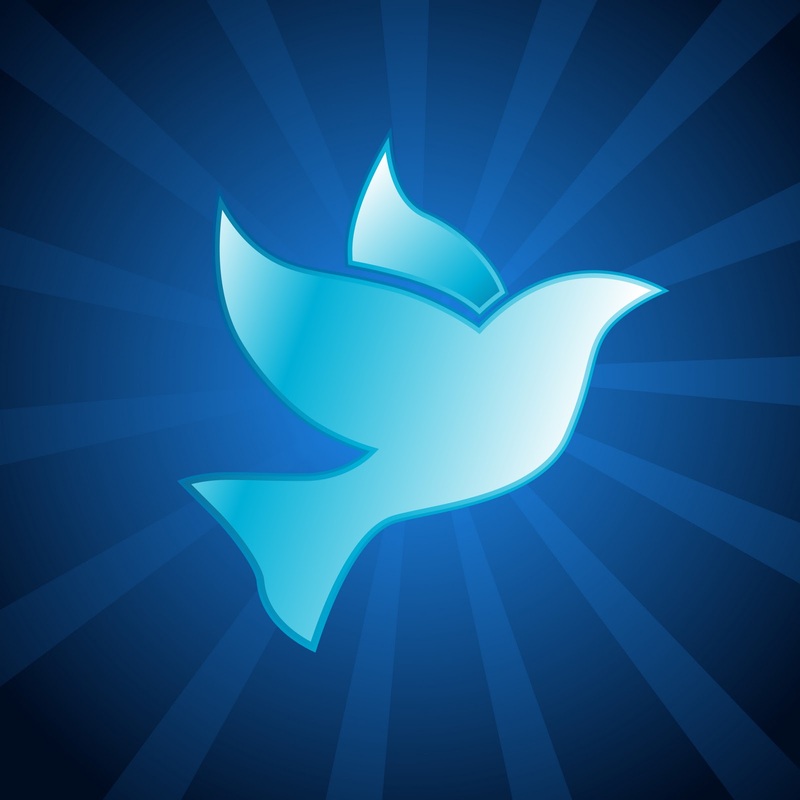 I feel the Holy Spirit holds me in His embrace, and my human heart is just an instrument of my humanity. I was not worthy of God's gift to me, and I accept that He gives it to someone else - someone more worthy; as is His Will. My Lord Jesus Christ, in You I have life. In the Holy Spirit, I breathe life for your glory. In the Father, I am made in Your image, to bring others to live Your Life. 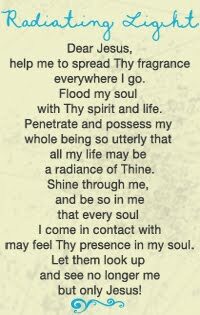 Today, by Your Will I must seek a new human life, but I beg of you the grace never to allow my spirit to die - keep my soul & spirit strong and ever-faithful, because it is in times like this, that the spirit weakens and falls prey to the fallen one. I need You now more than ever, because this feeling of death inside me is struggling with the Truth I know and exalt spiritually - so take me, take my spirituality, and nourish it so that it may grow to bear fruit, rather than die with a misconception that You do not care. You gave me life on El Camino - I believe I will always have that life because I am Yours - but without You in my soul and spirit, my human life is not worth anything. Don't let me go.